Everything we see around us exists in the three-dimensional space. An artist, however, is confined to the two dimensions, namely length, and width of the canvas or paper. The cornerstone of the visual arts is the ability to transfer the three-dimensional objects to the two-dimensional plane in such a way that the objects still look convex, fleshed out and spatial. The formality of line art classes. When a graphic artist starts to draw, they draw some lines on the paper. These lines, however precise they may be, are always somewhat conventional, as there are no lines in the natural environment, and what we may perceive as a line, is only a verge between the different surfaces or spatial forms. Therefore, the lines are always more or less formal, and it is impossible to reproduce the three-dimensional and spatial object as we see it via the lines only. Of course, even a formal linear drawing can be very expressive and compelling. However, the artist relies on the audience’s imagination to add the lacking spatiality. While making a linear drawing, beginner artist during art classes should not simply trace the outlines of an object but rather try to make a linear depiction of the object’s shape itself. A line is one of the basic tools of the drawing. The nature of the line depends on the method and strength of the pressure applied to the materials, which may remain the same art classes. Types of lines and hatching techniques at art classes. The lines in the drawing should be unrestricted and variable. They range from the assertive almost black ones to the barely visible. Consistently sharp lines with the same pressure are suitable for sketching a technical scheme. Such lines are not very useful, nevertheless, for depicting the spatiality. Therefore, they are often discarded when it comes to depicting the depth of space and the three-dimensional objects. The rigid lines, however, may be used if one carries out a decorative work, in which the nature of images depends on the surface’s plane itself. Weak lines without applying much pressure are used predominantly during the first stages of the art classes. Such lines help an artist to determine the placing of an object, as well as to sketch an outline and establish the proportions. Beginner artists at the art classes should? A beginner artist who only started taking art classes should do some exercises for training one’s hand and developing the eye’s accuracy. For example, one can draw various lines, or build the flat figures and divide them into sections, or make a series of strokes with the same length and gaps between them. The straight lines should be drawn in one stroke, while the curved ones are made through the angled line strips. It is expedient to correct oneself without the usage of the eraser, through making the bolder sharper strokes. The lines and the flat objects should be divided into the sections without any measurements, by eye. When one draws geometrical figures, they should pay attention to the correlation between the length and width. When a talented musician performs, they highlight some musical pieces by playing them loud and strong, while the other fragments are barely heard. In this case, the motive of the musical piece becomes expressive, and the audience will never be bored. It can be said that the lines of the drawing should also have a musical quality to them: they should vary from the strong basses and strings to the high-pitched jingles. In this case, the linear drawing becomes live-like, flickering thing on the surface of the paper. Such a drawing is very hard to make, and the skill of depicting the spatial objects with the lines only comes with the time and practice, which attending a drawing class may provide. To depict the movement in the space or to express a specific artistic idea, the lines may become exceptionally expressive and melodic. The drawings of the old masters are the proofs of this. When one contemplates their works, it is obvious how some lines barely exists, almost invisible, while the others become more powerful, increasing in the tone and boldness. With the different skew of the pencil, artists achieve both the thin lines, when only the tip of the pencil touches the paper and the wide diffuse traces when the pencil is held almost flatwise. Thin, barely visible lines indicate the margins of the form, where the object faces the light and almost blends with the environment. Broad lines, on the other hand, expose the shaded surfaces. The varying nature of the lines allows an artist to reflect the spatiality, the dimensions and the lightning of the depicted object, to solve the problem of the plasticity concisely. The nature of the line depends exceedingly on the materials and the instruments, the surface and the density of paper, as well as the hardness of the graphite including. A pencil, a piece of charcoal or sanguine which are most often used during the art classes are the materials which provide the softer, airy lines, while the quill, brush or a fine-liner will leave a more rigid one. If one needs to lighten the tone of the drawing up to the bare paper, one should make a firm stroke with a soft eraser. If one needs to lighten the tone just a bit, on the other hand, it will be enough to touch the surface lightly with the eraser, getting rid of the excess of the graphite. In the tonal drawing, the width and the nature of the strokes can vary depending on how well-defined the shape of an object should be. The nature of the strokes depends in its turn on the strength of the pressure applied to the pencil. The strokes are relatively short lines. When they are amassed in one places while being rare in the others, they create the different tones of the drawing. The varying degrees of the saturation via the strokes allow exposing the shape and the spatiality of the depicted object. An even coverage is a result of applying the light strokes with the consistent gaps, for example, as the diagonal pattern across the cube. To darken the tone, one needs to add the second layer of strokes, for example, putting them in the opposite direction. There are two ways to achieve the gradual transition from the light to the shadows and vice versa: an artist can either diffuse the borders of the different tones through the stumping or make the gradual changes to the strength of the strokes and the distance between them on the go. The mode of applying the strokes adjusts according to the shape of the objects, which allows not only to depict said shape on the paper but also to emphasize the geometric construction of the object. Every stroke which does not highlight the form of the object becomes unnecessary and draws the attention away from the object’s shape. The strokes in accordance with the lines tend to be more rigid and straight if the object is angular and more free and curvy if the object itself is curvilinear. What stroke type to choose for beginners at art classes? While choosing the type of the strokes, the relative placement of the object within the space depicted should also be taken into account. For example, strokes with the close gaps between them make a toned area look airier as if the object were in the depth of the image, while the same close gaps with the bolder strokes bring the area into the sharper relief and therefore visually closer to the audience. The more forceful the strokes are and the sharper the relief between them, the closer to the audience the object will look like. 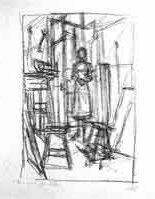 While carrying out the drawing of the set of objects, for example in an art class setting, an artist considers not only the closeness of the objects to the audience. They also pay attention to the object’s color, lightning, and the aerial perspective, as they all lend to the image a certain tone, as well as material and the texture. The bold and sharp strokes with the expressive contrasts are used to depict the foreground. The objects situated there should have a more bold, sharp strokes, with the wider gaps between them. In the tonal drawing, the width and the strength of the strokes may vary depending on the intensity of the exposure of the object’s surface. It is necessary to mention that the hatching strokes which are extremely sharp and far-away (with the wide gaps), as well as criss-crossing at a wide angle, make a drawing look unpleasantly like a wiry fishing net and ruin the surface of the objects depicted. 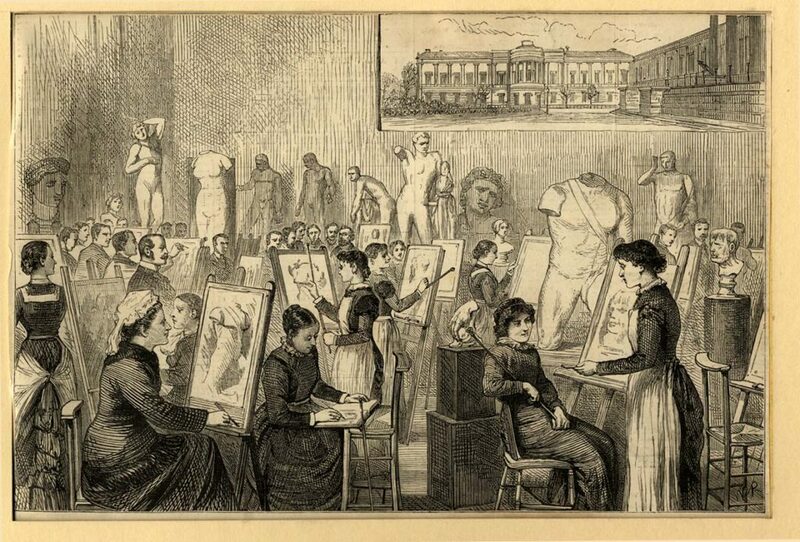 Therefore, during art classes at Artacademy-USA studio, we insist on close, fine hatching techniques to be trained from the very first lessons to avoid unnecessarily extra training afterwards.